The PET was one of Commodore's first computers. 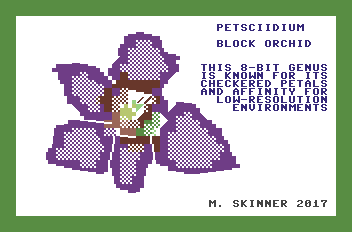 The PET's only colour was green on a black screen. It did not have high-resolution graphics. High-resolution graphics are where you can make the pixels light up in any order you want. I will teach you more about high-resolution graphics later. 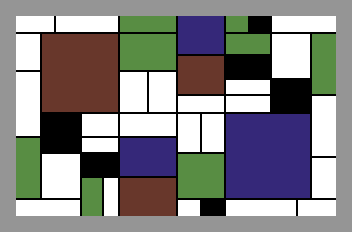 The graphics characters were small circles, lines, and other shapes. There were also suit symbols for card games (hearts, diamonds, clubs, and spades). On the PET, you can get these special characters by pressing SHIFT with nearly every key. 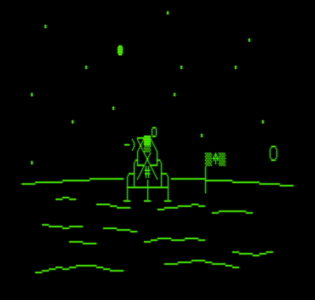 The green and black screenshot is a picture of a moon landing that Myles Skinner created using character graphics on the PET. 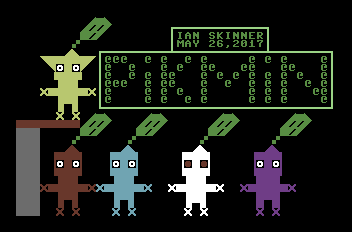 Commodore kept these special graphics characters for its later models like the VIC-20, the Commodore 64, and the Plus/4, but changed the keys you need to use to print them. On all of these models, you can get one set of character graphics by pressing SHIFT and another key at the same time; you can get lots of different character graphics by holding down the Commodore key and another key on the keyboard. 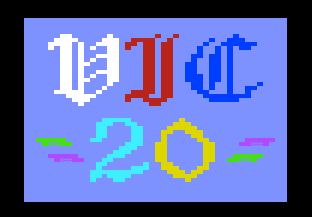 The next image was done on the VIC-20. The VIC-20 has a small screen—22 characters across by 23 rows down. 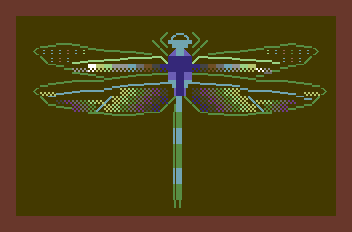 Unlike the PET, it has many more colours: 8 colours for your character graphics plus 8 more colours that can only be used for the screen background. 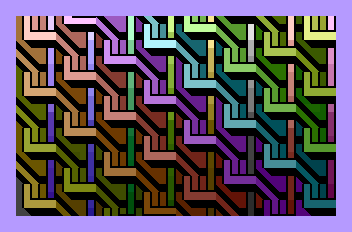 The Commodore 64 has 16 colours in total, and you can use all the colours for letters, character graphics, and the screen background and border. The Commodore 16 and Plus/4 had 121 colours. 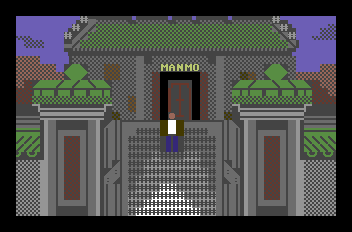 In the gallery below, all of the pictures are done on the Commodore 64 using character graphics—except for the very last one which is done on the Commodore Plus/4. The Plus/4 has a lot more colours than the 64 but you can't use sprites; sprites are a special type of graphics that are useful for programming games. I'll talk about sprites in a later section.